In Amsterdam, the architecture as well as lifestyle of the 17th century has been preserved so beautifully that I could easily experience the ambience of those golden years on my first trip to the city. The stately mansions lining the shimmering canals – the latter more numerous even than in Venice – were built when Amsterdam ruled the maritime, trading and artistic worlds through its merchants and fleets. In the 1680s, an average of 1,000 Dutch ships plied the Baltic each year. And this oceanic dominance is showcased at the National Maritime Museum through nearly 400,000 objects, paintings, maps, weapons, uniforms and story narrations aboard a replica of the Dutch East India Company’s ship, the Amsterdam, which took eight months to reach Asia. The wealth traded with, and brought back from, Asia over the centuries had enabled Amsterdam’s merchants to create architectural marvels, carry out philanthropic work and, above all, become patrons of masters such as Rembrandt, Johannes Vermeer and Frans Hals among others. As I strolled the streets and lanes of this beautiful city, I literally came face to face with powerful burghers, charitable ladies, guards, physicians and guildsmen through almost life-sized portraits. Their attire depicts their lifestyle - rich, dark ensembles featuring immaculate frilled ruffs, paired with high-heeled shoes. They are flanked by servants, delicious-looking food from ostentatious banquets, tropical fruits and more. These huge artistic masterpieces, many of them rarely displayed, can be viewed at The Hermitage, the biggest branch of its iconic namesake in Saint Petersburg, Russia. 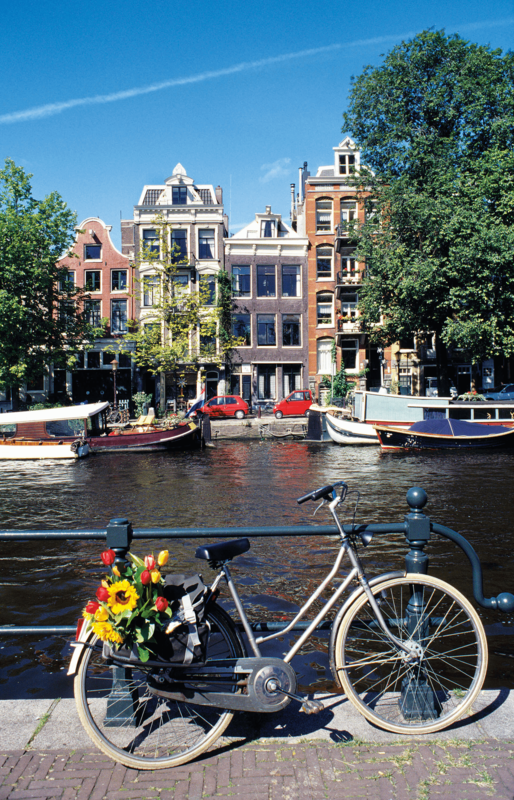 In Amsterdam, it is located within the Amstelhof, a monumental building on the Amstel river. 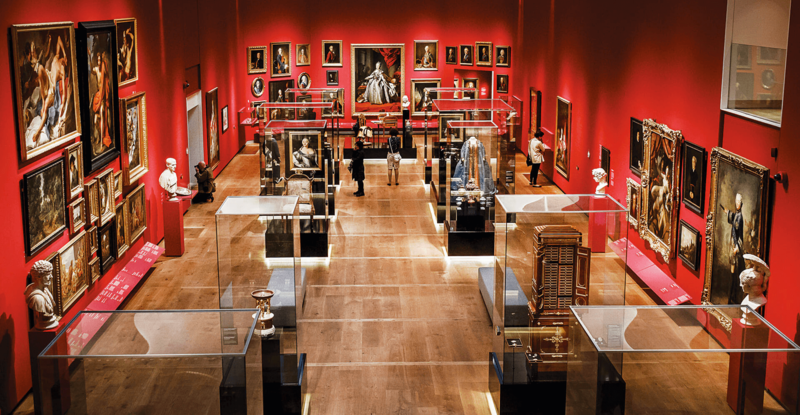 The museum displays a few works by Rembrandt too, and more of the iconic artist’s masterpieces can be viewed at the Rijksmuseum, where a Gallery of Honour features 17th-century works lining the way to Rembrandt’s Night Watch, the highlight attraction here among nearly 5,000 paintings, one million prints and drawings, and hundreds of sculptures. A restaurant, in fact, now serves modern menus in the room where Night Watch was originally painted. Collections of table silver, furniture, spice holders and pepper pots like water mills reveal the merchants’ opulent lifestyles in that era. Rembrandt’s house, a double-fronted mansion where the artist resided as an art dealer, collector and teacher, is where he had been driven to bankruptcy in 1656. A list of his possessions has enabled modern curators to recreate the rooms as he had known them, and the studio where he taught pupils like Nicolaas Maes is now home to print-making workshops. 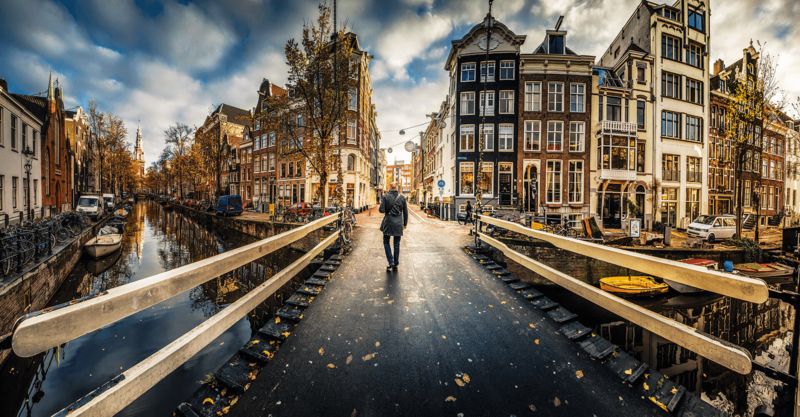 The best, most convenient way to glimpse Rembrandt’s Amsterdam is from aboard a special canal boat, or simply while taking a stroll beside the Herengracht, also known as the ‘gentleman’s canal’. The tall, slim buildings (houses were taxed on their width in the 17th century) seem to lean outwards as you walk past them. I was told that the structures were deliberately angled this way so that the windows wouldn’t break as goods and furniture were hoisted to the top floors by pulleys that are still used. Built on marshes, each house was supported by 40 tree trunks and a bed of sand. The quiet luxury of 17th-century interiors can be experienced at the Museum Van Loon on the Keizersgracht canal, Still inhabited by the descendants of one of Rembrandt’s pupils - an East India Company member and an Amsterdam mayor - it brings the bygone era to life through family portraits dating back nearly 400 years. As for the culinary side of Amsterdam, authentic delicacies from the 17th century can be sampled via a food tour, several of which are on offer through the year. From spiced chicken pies sweetened with prunes and candied fruit and salmon pies with currants and pear, to parsnips with salad and rice flour-thickened blancmange yellowed with saffron – your palate will have plenty of flavour profiles to relish as you amble down the city’s bylanes, guided by an expert. You can even find tulip bulbs being used in dishes prepared at certain restaurants – something of an impossibility in the 17th century, when a single tulip bulb would cost 10 times a craftsman’s annual wage. At the time, vases were fashioned with slots so that the ultra-expensive blooms could be displayed individually. The more slots, the more sophisticated and wealthy you were believed to be. Delft reproductions of these vases can be bought at the Munttoren, should you desire one. Amsterdam’s golden age glory and how its burghers perceived their city is summed up at the Town Hall on Dam Square, home to the Royal Palace and the National Monument. Built to impress the world, the magnificent marble Citizen’s Hall at the Royal Palace contains global and celestial maps inset in the floor, that place Amsterdam firmly and proudly at the centre of the universe.